Sony has had to stop selling the Xperia Tablet S because gaps between the screen and the case make it vulnerable to water damage. That's a pretty big problem for a tablet that is supposed to be splash-proof and has already shipped over 100,000 units. The problem comes down to a manufacturing flaw with Sony placing the blame on the Chinese factory that puts the tablets together. The tablet went on sale in September, so Sony has promised to replace or repair any tablets that have already been bought. 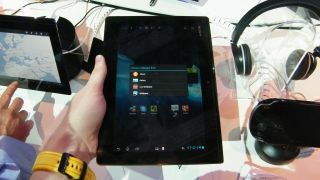 We're yet to spend some serious time with the Xperia Tablet S but our first impressions weren't bad; we're talking to Sony to try and find out more about the situation. The company hasn't said when it expects to see the tablet back on the market yet though, so if the Xperia Tablet takes your fancy, you could be in for a bit of a wait.